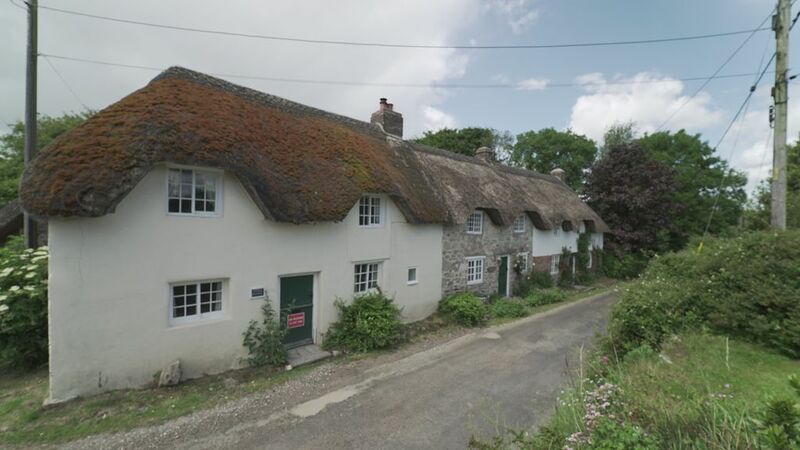 Thatched Property near Lulworth Cove and Durdle Door. A significant thatched property in the rural village of East Chaldon. The Well House is one of the oldest houses in the village and has its own unique history. It has a large sheltered garden with hot tub for 6 persons, log cabin, BBQ and seating area. The World Heritage coast path and a great local pub just a short walk away. Lots of character in an inspiring location! Please note in the summer high season and at Christmas and Easter the property is only available to book for 7 days with summer changeovers on a Friday. The Well house is owned by Philip Beale, who is a writer, adventurer and entrepreneur. You will love this property because of its unique historic character and interior, its location near Lulworth Cove and the large garden and 6 person hot tub! within fire place but can be opened as a traditional fire. Can seat up to 14. Many good books on a wide range of topics. Yes with a limited range of CDs. Yes ... with a range of some 20 classic videos. Not ideal but downstairs livingroom, kitchen bedroom and bathroom and bedroom all on same floor. no steps. There is a step down into the 2nd livingroom. Hot tub seats 6 and adjacent to the house. Notes on accommodation: Electric central heating. Changeover day is Friday. Rent includes electricity, gas services, towels and linen. Dogs are permitted at extra charge of £25 each. . Outside: There is an enclosed garden with table and furniture plus BBQ. Glad you enjoyed this historic house and the amenities, such as the 6 person hot tub, the log cabin, the inglenook fire places, the huge garden and well equipped kitchen. And of course the location is fantastic .. just 300 meters from one of Dorset's best pubs and Lulworth Cove and Durdle Door just 5 minutes away by car. The Well House suited seven of us perfectly for a family celebration. Low ceilings proved a bit of a trial but we loved the space and the peace and quiet. The modern extension was perfect. A quaint, surprisingly large cottage with much character. This was a perfect venue for our wedding party easily accommodating twelve or so people on the wedding morning and eight sleeping the night before. We stayed for three nights. We all managed to bang our heads on beams, so be warned! If staying longer would need to learn how to cook on an AGA. The cottage is 'lived in' and homely, and as such needs some attention paid to certain things, (dishwasher works but is clunky, upstairs flush on toilet needs attention, cooker (not Aga) needs updating). In some ways however, the homeliness makes the cottage easier to live in. Portmeirion crockery is lovely. Garden and hot tub, although not used are a great asset. A lovely quirky house in a fabulous location. Glad you enjoyed the features of the Well house's Grade 2 listed features as one of the oldest properties in the village and its great position near the sea, for walks and just 300 meters from one of Dorset's best pubs.. The Sailor's Return. Just got back from Dorset and had a wonderful time. The Cottage was idyllic. Such a chocolate box setting, very quaint and just perfect for what we needed. We were greeted with a bottle of wine and flowers in both the kitchen and bedroom, which was a lovely touch. The heating had been put on so it was all warm and cosy and logs ready for the fantastic log burner, which we used every evening. The bathroom with shower isn't luxurious but perfectly fine for the time we were there. The front room was large and cosy. The main bedroom had the most comfortable bed with fluffy pillows and the kitchen had everything you needed, including tea, coffee, sugar and very kindly fresh milk. The village is tiny so if you want to get away from it all, it's ideal. The location was great as so close to Lulworth and Studland. The garden would be great for the summer and all in all I thought it was a great place to stay and would certainly love to return during the summer months. Really had a wonderful time. Thank you Philip. Situated near the coast. From the cottage one can walk straight onto the footpath to the coastal path lining the spectacular World Heritage coast.Great local pub just 300 yards away. Use of car recommended. Nearest train station Wool or Dorchester. Nearest airports Bournemouth and Southampton. Nearest shop is one mile; nearest pub The Sailor's Return serves great beer, wine and food just 300 yards. Dorchester - 8 miles with Waitrose and a Tesco. Both will deliver..
Booking Notes: Cottage is available for renting by the week with the change-over on Friday. Change-over days vary for short breaks. First payment is 50% of total rent plus dog fee (£25 each) if applicable. Linen is included. Final payment is due eight weeks prior to holiday. Full payment is required if booking is made within eight weeks of holiday. Changeover Day: Friday. We can be flexible in quieter periods.